Charon Solutions has always recognized that there is no point in providing outstanding service to our customers if processes break down the moment we leave. We make sure that there is a proper hand-off - and that requires documentation. 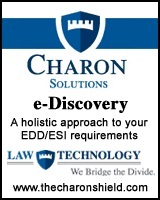 Charon Solutions provides the best documentation in the business. Therefore, regardless of whether you require highly technical documentation for your internal staff or end-user documentation, Charon Solutions can provide it. Skeptical? Ask us! We�ll be happy to provide samples. When we delivered end-user guides for training in the use of Microsoft Outlook, the CIO of Initiative Media was so impressed that he didn�t believe us when we told him we created the guides. He thought they came from Microsoft.